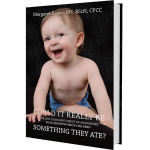 Could It Really Be Something They Ate? Is the situation you are in causing you to be energized and moving forward or drained, withdrawn, and wanting stay in bed? Have you allowed too many things to crowd your now overflowing plate or are you mindfully removing something each time you add something of a higher priority? Are YOU running your life and your choices or are you running around at the beckon call of others? Stress often gets a bad name and we can spend countless hours trying to get rid of it or minimize it in our life. While too much stress sets our body off on a physiological response that inhibits our ability to think and respond appropriately, too little stress can result in apathy and a lack in motivation to step into life. I have attached a link below with an infographic that was created by Precision Nutrition. They are, I believe, one of the best resources of accurate health and fitness information. They base what the publish on the latest research and do a wonderful job of relating their information to challenges we all face in real life. The link to their article is here. Stress can be the result of a wide range of challenges – sometimes one large, catastrophic event and sometimes a series of energy draining difficulties and relationships. In my over 30 years of working with clients of all ages, one of the things I have seen consistently is the impact that diet and nutrition has on people’s overall resilience. If you feel unwell, even small challenges can feel overwhelming. If you have brain inflammation secondary to a leaky gut, your mood can become either depressive and apathetic or loud, abrasive, and difficult. These challenges also apply to children who have even less control over their mood and emotions than adults. 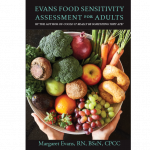 By using my new EFSAT tool that is available for purchase from this site, you can determine easily and accurately whether or not food might be contributing to your stress load. Identification of the offending food and removal from your diet will allow your body to rest and not find itself stuck in a chronic stress response. This will make it much easier to find your stress sweet spot where you now feel well enough to take on projects that inspire you or to find other ways to truly enjoy your days.